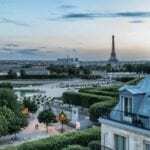 I’ve been to Paris every month of the year and in every season, so I have a pretty good handle on what you need to pack to enjoy your first trip or your 20th in the city of light. Like everywhere in the world today, environmental changes are wreaking havoc on what used to be the tried-and-true for any particular time of year, but I’ve got you covered for anything that Mother Nature may throw your way! 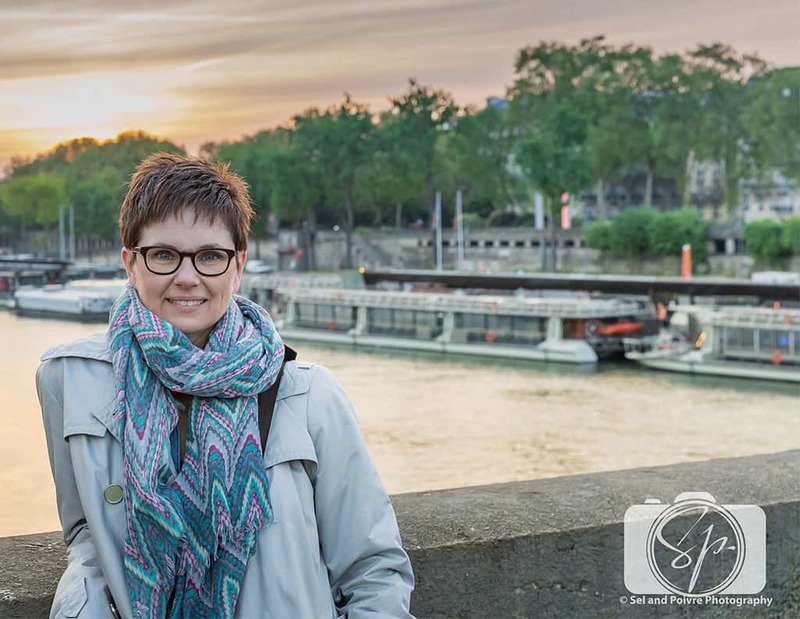 Springtime in Paris can be particularly difficult so since I just spent 2 weeks there, I wanted to share what I packed and share what worked and what didn’t, or in this case, what I missed! 3 dresses: 2 t-shirt dresses and 1 little black dress. Whenever I travel, whether it is for work or for play, I pick 1-2 color palettes and stick with it, I told like to think too much! For this trip, it was navy blue and grey. Let me share my approach for packing for spring in Paris. Paris is finicky in the spring! This year it snowed on St. Patrick’s Day! I know spring is officially March 21st, but that is cutting it close. The week before our trip it was in the 80’s, but during the 2 weeks we were there we saw temperatures dipping down in the 40’s in the morning, rainy days with temps in the 50’s-to-low-60’s as well as some sunny days at close to 70. So how do you pack for that? Layers. On the cold days, I wore 2 of my t-shirts (the navy plus one of the navy striped ones) with my navy cardigan and/or my jean shirt. On top of that, I put my rain/trench coat and a scarf. I did the same thing with the dresses I packed. On colder days I wore the jean shirt over it. My mistake here was I also should have brought a light sweater, I could have cut back on the layers and been warmer with less and I should have packed a pair of leggings to wear under my dresses. On super cold days, I could not wear them. I was not cold in my layers, but I also should have brought a warmer hat, I wore the baseball hat one day when it was pouring, but the other chiller mornings I could have used a ski cap. 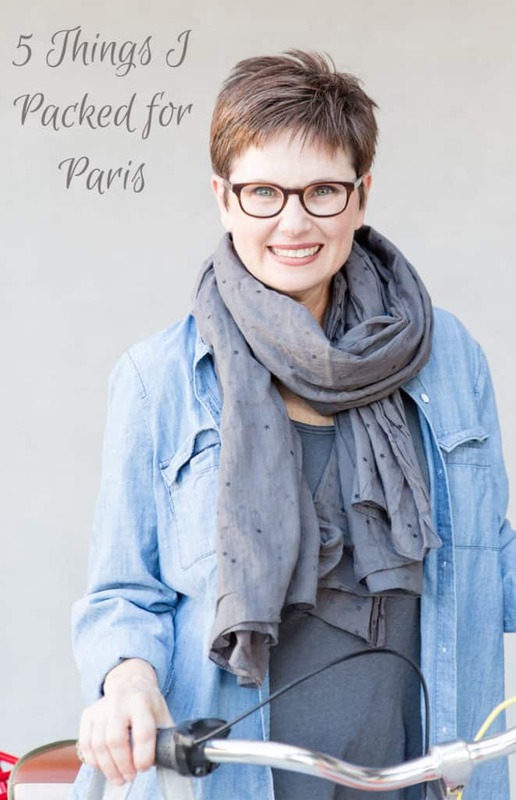 While living in France I adopted the habit of wearing scarves and I have amassed hundreds of them in every shape, color, and fabric. To me, this is the most essential item to pack as it is so versatile. I wear them for warmth, to protect me from the sun, to add a pop of color, to sit on, to open door handles with, the perfect travel companion. It is usually the one thing I buy just about every trip I make. I made a vow to not buy any this trip and I almost made it, but part way through the trip I found out I might work a trade show in Orlando (and it’s now actually confirmed its for sure) and the staff shirt for the booth is a lime green – I decided a need a lightweight scarf in a shade of green to bring because with all the humidity, the air-conditioning will be cranked up and I will need one. Good excuse right?! I have bought many, many scarves in Paris over the years and 2 of the ones I packed came from previous trips. The light blue and grey ones came from Galleries Lafayette which always has a great selection, but I have bought them everywhere, from expensive boutiques and chain stores to outdoor markets and tourist shops. They are lightweight, easy to pack and also makes a great gift. Wow! How important is this?! We walked way more than 10,000 steps a day so having comfortable show was an absolute must. I packed 3 pairs of shows. 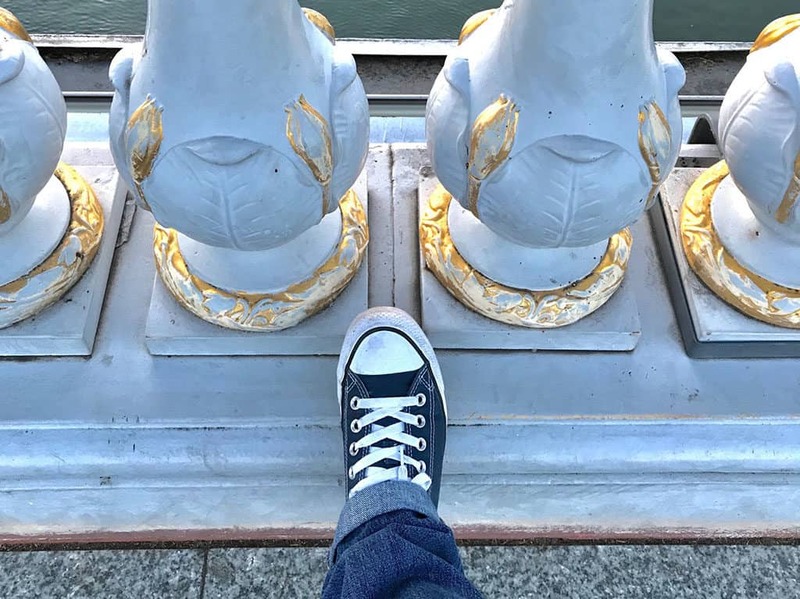 I consider my Ecco Gora GTX Hiking Boot (in black) to be my urban hiking boots and they are perfect for cold, rainy weather are comfortable as heck – it was the only shoe I packed for my trip to Paris in December. These being my heaviest show, I wore them on the plane. I also brought my Born sandals (closest thing to it in the current line-up is Bernt, although mines has a little more heel) which have been seriously road-tested. To make double sure I wore them around the house the week before we left! In my day to day life, I love my Converse kicks, I have them in blue and black, am forever looking for a nice shade of red, and recently bought green to go with my booth staff t-shirt. I’ve worn them many times on many trips, but never, ever did I think about putting inserts into them to make them actually comfortable (for long days of walking, because otherwise they are truly comfy) until I read a post from Kristin’s husband, the hunky Scott V-Squared on Camels & Chocolate, a diehard Converse fan as well. I bought a Cooper compression insert (I hurt my arm last year in Yellowstone and their compression sleeve for my elbow was awesome) and it is like I am walking on pillows! I have them in my Ecco boots and all my Converse now. I decided to bring a red tote bag I got in Kyoto for a pop of color. Of course, it also serves a very utilitarian purpose – carrying stuff! The bags that you get at the outdoor markets and retails shops aren’t always the greatest quality and often fall apart before you get back to your hotel room, or in this case, rented apartment. In addition, I always save the plastic bags from the better patisseries and traiteurs which are perfect for rainy weather and carry other groceries. This trip I also bought a Paris tote bag from a tourist shop because I wanted it for future photos. Tote bags are indispensable to have on hand and I always pack them wherever I go. I also had my Ona camera bag. I have 2, for this trip, I brought my ONA Prince Street in beautiful crimson red because it has a waxed canvas which holds up really well in the rain. My other Ona bag, a Bowery in field tan is an older model that doesn’t have the waxed canvas and so it got quite a beating a few years ago in Seattle so I am cautious about bringing it out in wet weather (the newer versions of this bag have the waxed canvas now). Trust me on this one. Whenever I visit any country in Europe I make sure I have a heavy-duty coin purse. You may start off with a decent amount of bills, but you will inevitably end up with a lot of coins! I had one I bought while working in Switzerland that has two sides. One side I keep my 1 and 2 Euro coins and on the other side, I keep the 5, 10, 20 and 50 centime coins. That makes things “a little” faster when paying. I don’t go anywhere foreign or domestic without digestive enzymes. From restaurants servings bad food to over-indulging on vacation, there is always a reason for me to have these in my car, backpack, camera bag, purse, and suitcase. For the past 10+ years, they have rescued me so many times, I can’t even tell you and I never leave home without them. There are 2 brands that I stick to Rainbow advanced digestive enzymes and Renew Life Probiotics. I swear by these! Fin! That’s what I packed for my trip to Paris. I never seem to get it 100% right, but I certainly do try! How about you? Do you have any Paris packing tips? Or general pro packing tips? Do tell! I am such an overpacker. I really have tried to do less but its so hard. Love this! 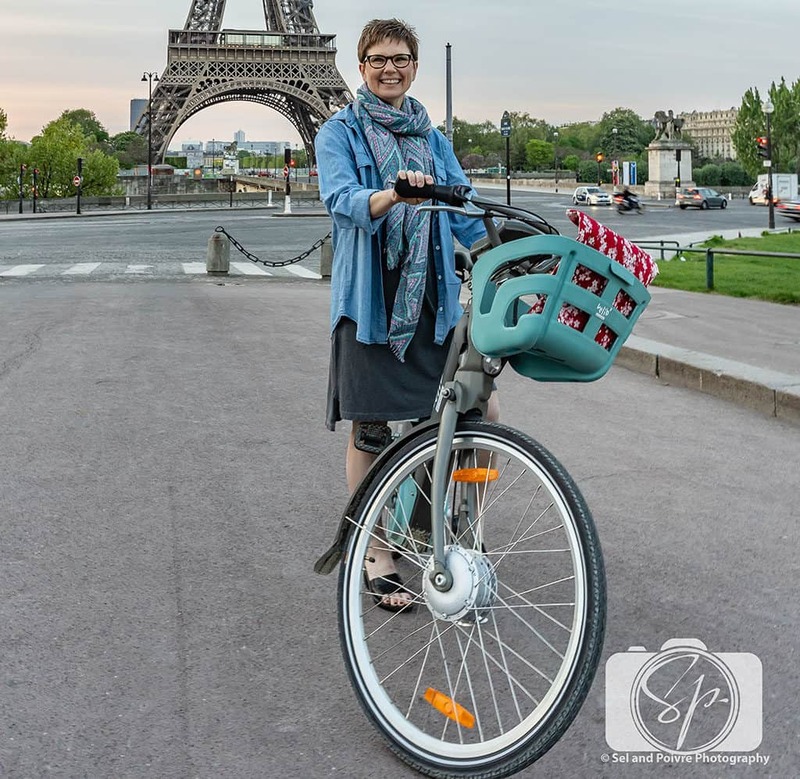 Paris is my fortieth birthday destination and I only have a few years left to plan. I will be bookmarking this helpful post so I can refer back to it when my trip is near. Paris is my dream destination! I really need to visit someday! I will be sure to pack comfortable shoes that’s for sure! Nothing is more important than having a good pair of shoes. I wish Ecco made them wide enough for my feet. I have an upcoming trip abroad so reading your post just came in time. I am going to put your tips into use when I start to pack my bags. Thanks so much for sharing these tips! We are hoping to get to Europe this year! I love your packing list, small but perfect! I pack way too much when I’m packing. I’d love to go to Paris. How amazing. I will keep this list! Great tips! I would add: an extra pair of reading glasses! and gloves (because I get cold!) And I make sure one of my scarves is large enough to double as shawl. Great suggestions!!! I always pack layers! You just never know if it will be hit or cold! Or both! Wow, this is a really helpful post. 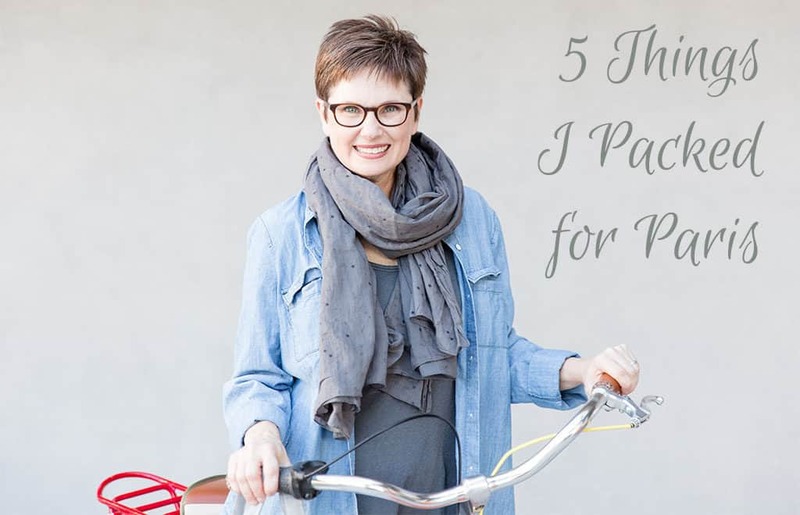 I included your sharing tips in my packing list for a Paris tour. 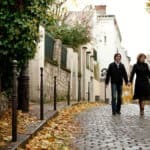 Paris is the most wonderful place for traveling and spending some time with your partner. I just wanted to let you know that I really like your article. Super helpful and practical post. 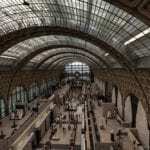 I will be coming back to your site for sure to check out more things about Paris :-)!! I always pack a good scarf when travelling, they’re great for the city and the plane too when it gets cold! I loved your photos and your packing essentials. You got a good mix of clothing in there! Thanks for sharing. My family has a plan to visit Paris. I don’t want to go there during winter days. I won’t survive on super cold. I don’t want to go out if it’s cold. So better to visit on not cold days to enjoy the place. I agree with you, I love scarf too. You can use it in many ways. I love your blog. Oh well, all things I pack are centered around my camera equipment. And if I think of Paris – camera is the thing you have to pack first when you go to the place like Paris. I would love to go to Paris someday too. Thanks for sharing your experience.